grubbus: Killer Doughnuts. Perfect Apples. A Little Shlock. Robinette's. Killer Doughnuts. Perfect Apples. A Little Shlock. 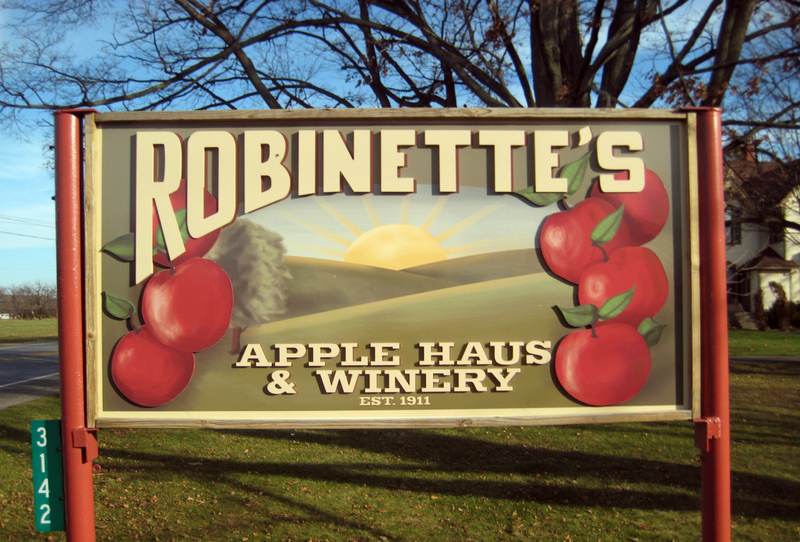 Robinette's. 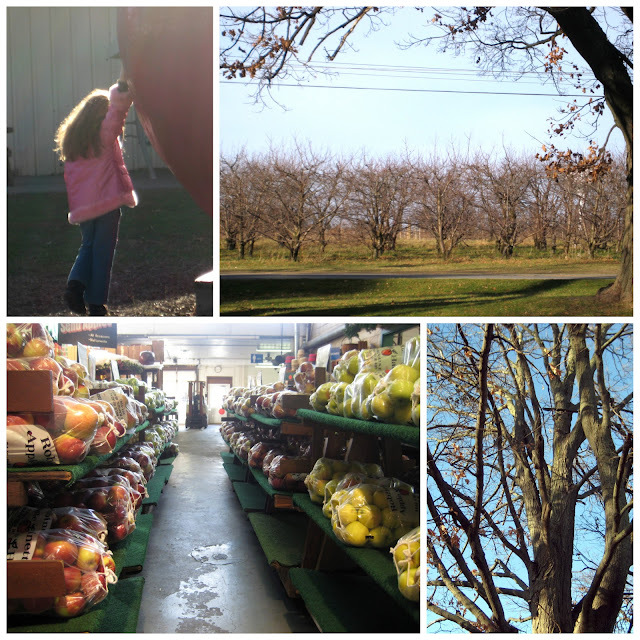 On a brilliant blue-sky day just after Thanksgiving, my extended family and I loaded ourselves into a couple of Subarus and made our way to the institution that is Robinette's Apple Haus, on the far north side of Grand Rapids. Robinette's has been serving fresh cider and doughnuts since 1973, and the family has been growing apples since 1911. Today, Robinette's has spread into a small empire: a barn-sized gift shop selling all manner of occasionally charming schlock; a winery; store-branded popcorn, salad dressings, candies, and syrups; a bread bakery; a fudge-emporium. Throughout, there are constant signs of a place that has grown by addition without edit, to the point that there are no less than 11 typefaces featured on the signage at the front entrance. It's a kind of down-home country chaos that has an edge of interstate-tourist-shop overload. 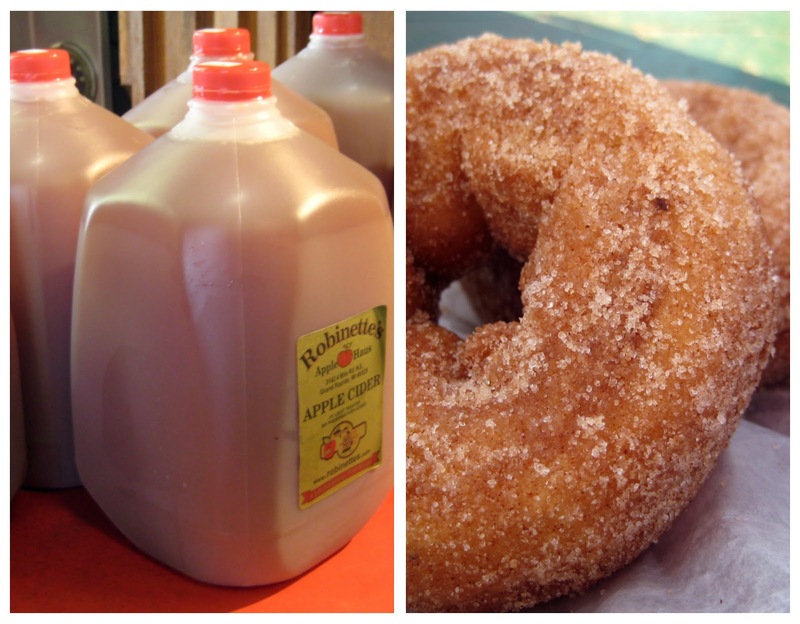 But the core of the operation, at least as far as I'm concerned, is still apples, cider and doughnuts. Apples started the ball rolling here, and they are still to die for. Like just about any other produce, apples are best when recently harvested, never trucked, and grown by people who have been growing them for generations. I bought a 1/2 peck of the best Braeburns I've ever eaten, a whole different class of rich and sweet and tart than the Braeburns that make their way here from New Zealand. They've got a half-dozen varietals, all 8 bucks for a half peck. A steal. The apples not pretty enough to make their way into the retail or wholesale side of the business make their way into cider the old fashioned way, mashed and then squeezed between wooden pallets by an enormous, bright red press. I remember seeing this press in action on school field trip some elementary school year, and I remember that it was 30 feet tall and very scary. It turns out, returning now, that it's not. But it's still pretty damn intimidating. Cider is served in the store hot or cold, totally unadorned, and with all the sweet richness of the apples they grow. It may be the blend, or the freshness, but this is really extraordinary cider. And the doughnuts. They make a few types, but there's just the one that's worth the time: the cinnamon-sugar. These are cake doughnuts, with all the delicate crumb and moistness that good cake doughnuts have, but they are so light and airy that they eat almost as if they are yeasted and raised, rolled in sugar and cinnamon. If you manage to get one while they are hot, they will change your life, waking you in the middle of the night with intense unrequited longing. Room temp, they're really good, but the brilliance dims a bit. So three things that totally steal the show. Three amazing successes, exactly the same as they've been forever: apples, cider, doughnuts. And that's where my sizable love for this place ends: the expansions are something to be endured and ignored if possible: the fudge contains as many chemicals and as much corn syrup as something you might pick up at the grocery store; the chocolate icing on the doughnuts comes from a bucket shipped in from who-knows-where. I don't know about the salad dressings or the popcorn - they may very well be brilliant - but to me they chip away at the simple supremacy of the apple-cider-doughnut trinity. All that extra stuff doesn't kill Robinettes for me. In point of fact, in barely puts a dent in it. Put the distractions out of mind for a bit, get yourself geared up for some serious country charm, partake in the glorious trinity of sweet-autumn goodness in a place that feels like they could have invented it.